VG vs PG - E-Juice PG/VG Ratios: Do They Really Matter? Beginning vapers are likely to focus primarily on two things: their hardware and the flavors and nicotine levels of their e-liquids. After they gain some experience with vaporizers, their attention usually turns to the effects of variable voltage and wattage, and they may move on to mods. Read on and and learn everything you need to know about VG vs PG ratios. If you not into reading - just scroll down and check out the infographic we made. The one consideration those relatively new to vaping (and some experienced vapers) often ignore is the “base” of their eliquid – propylene glycol (PG), vegetable glycerin (VG), or a mixture of the two. That’s a mistake, because choosing the right PG/VG combination is just as important to throat hit and vapor as is finding the ultimate voltage setting. Here’s a quick guide to the possibilities – and why they definitely matter. The base of an e-juice has two functions. It “carries” the other ingredients of the liquid, and it plays a major role in flavor, throat hit and vapor produced. However, the boring details about PG and VG aren’t necessary for most vapers to study. Both bases are considered safe and are widely used in a variety of consumable products. The one major “health” issue to consider is that a small number of people are allergic to propylene glycol, experiencing symptoms like hives, rashes or upset stomachs. PG can also cause throat irritation for some, for reasons which will become obvious in a moment. Switching to an eliquid with a VG base may be necessary for these vapers. Each of the bases has distinctly different characteristics which affect the vaping experience. • Propylene Glycol: PG is a thin, non-toxic synthetic liquid which has no natural flavor so it’s better at carrying the flavors added to ejuice, and has a longer shelf life because of its non-natural ingredients. It carries a stronger throat hit (a major reason why vapers occasionally experience throat irritation). However, its higher temperature resistance means higher voltages are required to create vapor, so there’s often less vapor on the inhale, thinner clouds on the exhale, and the possibility of a burnt taste if the vaporizer’s voltage isn’t regulated properly. • Vegetable Glycerin: VG is a thicker, natural substance with a naturally sweet flavor, which has a shorter shelf life due to its organic nature. When used as a base for e-liquid it creates a lot more vapor with less of a throat hit than PG; that means a smoother inhale and the huge clouds many vapers love to exhale while doing tricks or cloud chasing. There’s one other important difference between the two. Since PG is thinner, it’s absorbed quickly by the wicks and less likely to gum up the coils on atomizers. 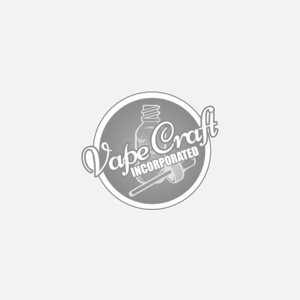 The more viscous VG can quickly build up on coils, wicks and other components so more frequent cleaning is required; and VG-based liquid won’t work well at all with some older clearomizers with small coils. Many vapers prefer to use VG liquid with rebuildable atomizers for that reason. On the other hand, sub-ohm tanks are built to withstand higher voltages and can easily handle VG-based juice. Why Mix PG and VG? Initially, many large e-juice manufacturers created their products with PG bases, and some offered VG e-liquids as an option for those allergic to propylene glycol. However, they quickly discovered that creating a base by mixing PG and VG allowed them to combine the best elements of each substance, to provide a range of choice for vapers looking for different characteristics in their e-juice. If you mix your own e-liquid, of course, you have the ultimate control. You will likely discover that certain PG/VG ratios work best with your vaporizer and that different ratios are preferable for different families of flavors; you’ll also find that high-VG juice mixed with several flavors can take longer to steep, and that most high nicotine concentrates and “interesting” flavors aren’t available in a VG suspension. The best approach when trying different PG/VG ratios is to start with either 70/30 or 50/50 as a baseline, and then go from there. 100% VG (Max VG): There are two primary reasons to choose 100% VG – an allergy to PG or competitive cloud chasing. There’s almost no throat hit, and the sweet VG definitely alters other flavors in addition to creating an equipment maintenance issue. 80% VG/20% PG: (80/20) There’s very little throat hit but lots of thick vapor with this ratio; the sweetness of the VG really starts to affect the flavor at this level. This is also where the high VG content can really start to wreak havoc with gunk on the coils and wicks. 70% VG/30% PG: (70/30) This is the best level for those who are interested in lots of vapor but still want to notice at least a little throat hit as well. 30/70 produces a smooth feeling that doesn’t overpower them when inhaling, and big clouds when exhaling. It’s the spot where most people feel they get the best of both worlds. 50% VG/50% PG: (50/50) As we’ve mentioned, this is a good starting point for experimentation. There are quality exhales along with a perceptible, but not strong, bite on the inhale. Once, was the industry standard, but now 70/30 seems to be the norm. 20% PG/80% VG: (20/80) This mix incrementally increases vapor production while slightly decreasing the throat hit delivered. 100% PG (Max PG): Once quite common but not as popular anymore, e-juice with a 100% propylene glycol base has the strongest throat hit and best delivery of most flavors. However, the amount of vapor produced is noticeably less than with e-liquid that has a significant amount of vegetable glycerin. Other factors can play into your ultimate decision; for example, we’ve discussed the sweet VG flavor which can distort the taste of very delicate flavors. However, you may also find that the bite of a blend that’s heavy on PG works best to bring out the tartness of fruit flavors, while the thickness of VG can make creamy flavors feel like you’re inhaling a mouth full of delicious dessert. In any case, much of the fun of vaping is experimentation and discovery, and trying out different PG/VG ratios can be more enjoyable and less “nerdy” than messing around with voltage and resistance. This entry was posted in E-Juice on April 6, 2016 by vape.